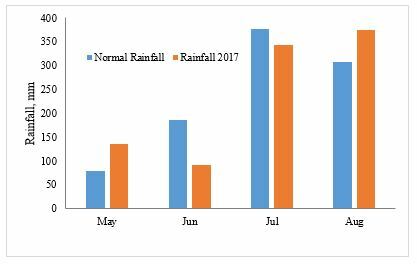 In the Eastern Gangetic Plains, many farmers have made many positive changes to irrigation practices. For example, farmers have started using diesel pumps and have adopted better water application practices such as using furrows. But, water conveyance to fields is often still through the use of earthen channels. For large plots of land, farmers have constructed permanent channels that connect different plots. Farmers working with small plots of land, often marginal and tenant farmers, use temporary earthen channels (mostly based on seasonal requirements). Earthen channels, however, have some disadvantages. Earthen channels incur huge water losses and lead to a reduction in the effective area available for crop cultivation. To convey water from water source to the fields, a flexible plastic pipe can be a better alternative to these earthen channels. While working in the project villages for DSI4MTF, scientists and field staff have found that farmers cite the cost of conveyance plastic pipes as the major reason for not adopting plastic pipes for conveyance. 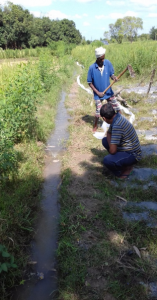 To demonstrate the effectiveness and economic benefit of plastic pipes to farmers, DSI4MTF conducted a field experiment and economic comparison that assessed the benefits and costs of earthen channels and plastic piping. Flow-rate at the end of the 100 m channel is taken with a V-notch weir. During a recent field visit, engineers from the University of South Queensland (USQ), Australia and the International Water Management Institute (IWMI) measured the loss of irrigation of water through earthen channels. In Bhagwatipur, a project site of the DSI4MTF project, a straight 100m permanent earthen channel that begins at a water source was selected for the assessment. Scientists used a portable V-notch weir for measuring the flow of irrigation water in the earthen channel. For this experiment, scientists and field staff first cleaned the 100m permanent earthen channel and properly sealed any leaks so that no loss of irrigation water could occur from rat and crab holes. After, scientists and staff inserted the calibrated V-notch at the end of 100-meter-long channel and properly sealed it from all sides. The earthen channel was filled up with water and was left for one hour until a steady state of flow was achieved. At this point, the flow rate of the solar pump water source was taken by using a 60 litre bucket and stopwatch and compared with the mechanical inline flowmeter reading. Simultaneously, the reading of the flow rate at the V-notch was taken. The difference in flow rate between the source and the V-notch weir at the 100 m point of the channel revealed the loss in irrigation water through the earthen channel. The irrigation water loss through an earthen channel was finally compared with that of plastic conveyance pipe used by farmers. The result of conveyance losses through earthen channel as well as plastic conveyance piping is given in table-1. Total loss through 100m of the earthen channel is 2.7 litre per second. Conveyance efficiency of water irrigation method is calculated by dividing the flowrate at the V-notch at the end of the 100 meter pipe by the flow rate of the water source. Thus, farmers lose 47% of total irrigation water through earthen channel. Field staff seal the bottom and sides of the channel with plastic. To understand the cost difference between using earthen channels and plastic pipes, a cost comparison was carried out. Construction of earthen channels involves sacrificing productive land because land must be allocated for the channel itself. Irrigation pipes require no special land allocation. To carry out the economic comparison, labour required, area lost, and the life of the systems were compared. Earthen channels last for 5-10 years while plastic pipes last for 2 years (Table 2). For the sake of analysis, a 7 year life-span was assumed for permanent earthen channels. After an analysis of experiment results, carrying out a cost comparison, and discussing with farmers about conveyance systems, DSI4MTF staff have concluded that the water loss from earthen open channels is significant and the cost of the earthen open channel is higher than that of plastic pipes. Farmers must consider these costs and loss of water when choosing a water conveyance system for irrigation. 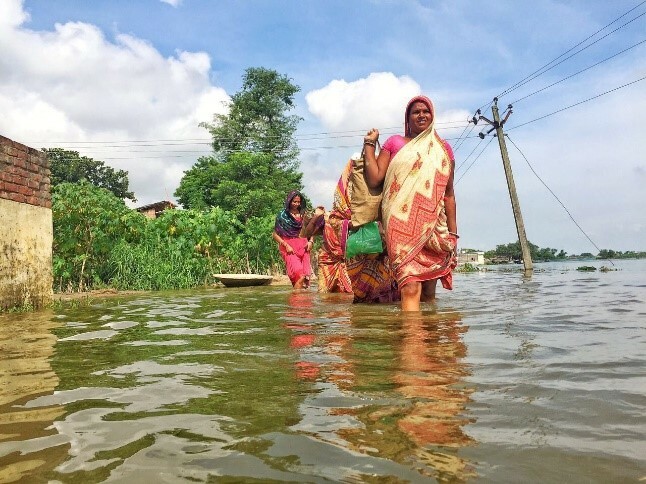 This year, 18 out of the 38 districts of Bihar are heavily devastated by flood. Approximately 12.6 million people in 1,965 panchayats of 171 blocks in the state are impacted. 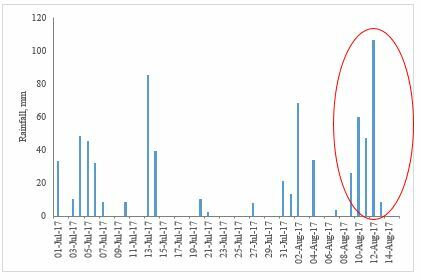 Total loss of human life due to the flood reached 253 (Times of India report, dated 21/08/17). Crop and livestock loss due to flood is yet to be estimated but predictions are quite high. 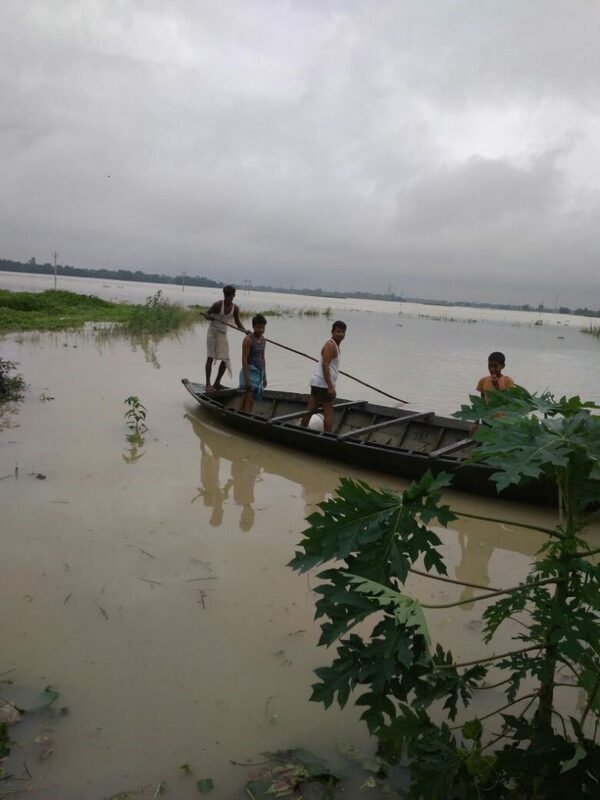 The unprecedented rain amounting to 525mm in eastern Nepal together with 250mm rainfall in the border districts of the Bihar over three days caused devastating floods in the bordering districts. The District Magistrate of Madhubani said about 5 lakh people of 15 blocks of the district have been affected. Total 13 flood related deaths have been reported in the district. 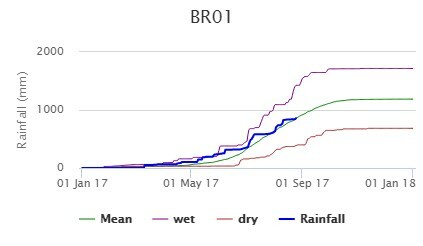 While the actual rainfall for the season (942 mm) was not significantly higher than the average rainfall (846 mm) of same period, the rainfall intensity and rising river water has added to flooding and ponding. Our project village Bhagwatipur is worst affected by flood. No loss of life from the villages is reported so far. In Bhagwatipur village almost entire paddy crop washed away by flood except few patches of elevated uplands. Our transplanted paddy crops at the intervention sites 2, 3 and 4 from Bhagwatipur are completely washed away and the level of damage is very severe. There is no crop loss from intervention site 1 of Bhagwatipur. In Mauahi, floods have caused severe damage to some crops such that the crops is completely washed away.. If the rainfall continues, the situation is likely to get worse. During the flood events there was standing water of about 3-3.5 feet, and at present, standing water has receded from experimental fields, and it may take about 2-3 weeks to make the soil workable.